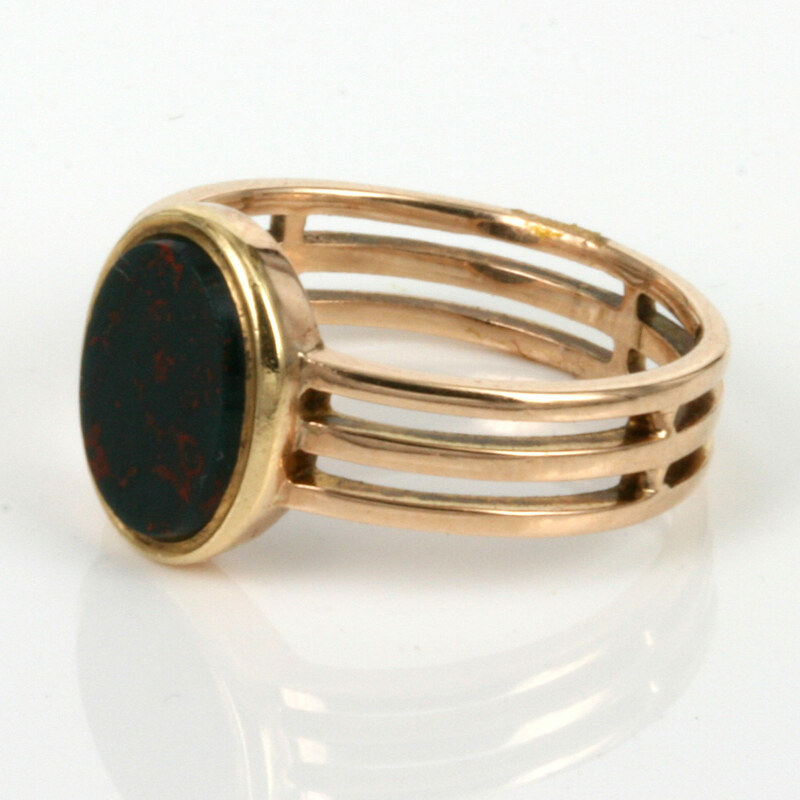 Antique rose gold signet ring with bloodstone. Product code: 1737 Categories: Sold Items, Sold Rings. This antique rose gold signet ring is so attractive and looks great on the finger. Set with an oval bloodstone in the centre, the oval setting measures 1.3cm in length by 1cm wide. 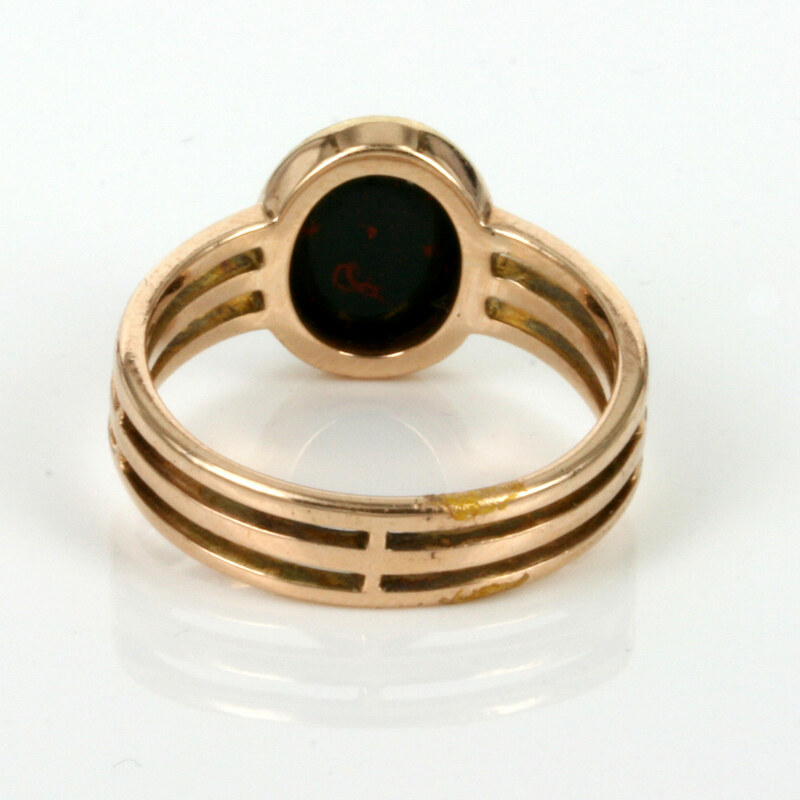 Hand made in 9ct rose gold at the start of the 20th Century, this bloodstone set signet ring looks great with the split style band.